Cost is one consideration. A vaper who uses one cartridge a day spends approximately $100/month. But the same amount of e-liquid for a vaporizer will cost less than half that amount. Choice can be a factor in moving from prefilled cartridge devices to larger devices with tanks for e-liquid. Cartridges come in an incredible range of flavors – but e-liquids are available in even more. It’s estimated that there are at least seven thousand flavors of e-juice on the market! Battery power and life both increase with larger vaping devices. Greater battery power means that you can run a device with more voltage or wattage, which will create more powerful vapor. There are also variable voltage devices where you can fine-tune your vapor by adjusting the voltage for each type of liquid. And longer battery life means that you won’t have to worry about recharging your device as often. A TITAN Hybrid Vaporizer system will usually have sufficient tank capacity and battery life to last the user all day without refilling or recharging. Before choosing a larger vape device, make sure you understand the importance of the tank. The word "tank” is used interchangeably with "cartomizer,” "glassomizer,” "clearomizer” and "tank system,” but each of these terms describes a different component. Materials. Tanks are made of three basic types of material: plastic, or polycarbonate, Pyrex or glass, and metal. Polycarbonate tanks are both durable and affordable. If you plan to vape acidic or sweet e-juice in particular, however, beware that flavors like cinnamon or root beer can cause a plastic tank to break down or crack. Pyrex tanks are heavier and promote more airflow, which results in better vapor. Many vapers prefer the look of a glass tank, which is funkier than opaque devices. The downside of a Pyrex tank is, of course, that it can shatter if it drops. It may also have trouble handling thick e-juice. Metal tanks are less common than the other two versions, but stainless steel and anodized aluminum tanks are also good options. Heat. Top coils are nearer the mouthpiece and, as such, provide hotter vapes. Fluid levels. If you aren’t careful about monitoring fluid levels, go with a bottom coil, which is more forgiving when e-liquid levels drop. Number of Coils. This is mainly a cost issue. Dual coils offer more powerful vaping, but are more expensive. High settings result in a smoother vape. Low settings give users a hot vape. 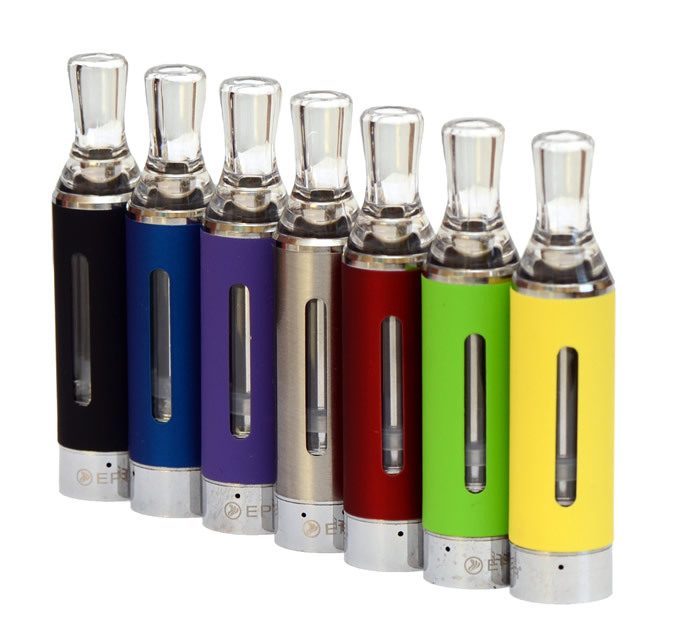 Explore the many different types of tanks for your vaping experience!